If Milton Keynes Conservatives take control of the Council in this May’s elections they have pledged to start a ‘Village Green Revolution’. 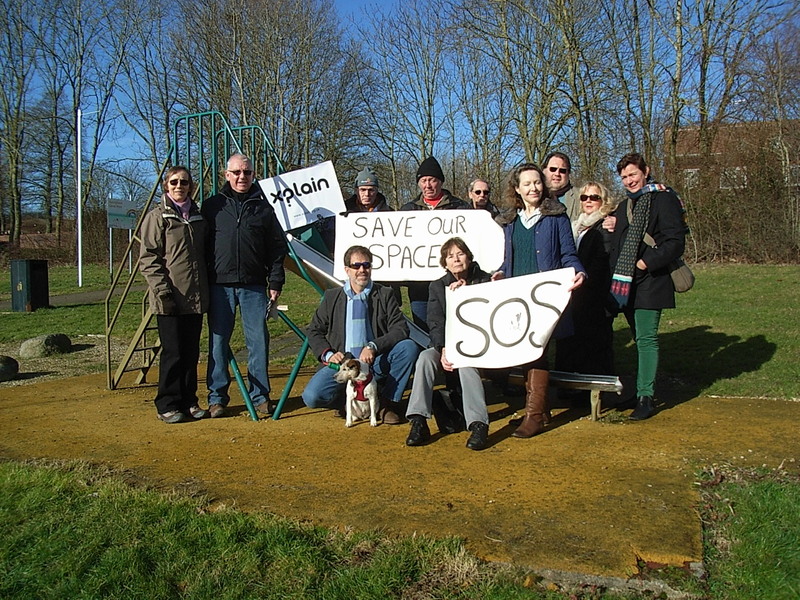 For several years, MK residents have been struggling to protect green open space from crowded infill housing which many fear would create slums of the future. In contrast, the Conservatives say that they will voluntarily register any green space that fits the relevant criteria and is put forward with community support. *Residents’ applications can shuttle between the Regulatory Committee, Cabinet member and officers for years. In some cases (eg Old Woughton Parish Council) officers have recommended refusal based on legal technicalities which members of the Regulatory Committee have eventually set aside. All this rigmarole can be avoided if MKC decides to use its right, as landowner, to voluntarily register suitable sites under Section 15(8) of the Commons Act. This entry was posted in garden cities, Milton Keynes, Milton Keynes Council, trees at risk in Milton Keynes, urban planning, wildlife at risk in MK and tagged MK City of Trees, MK Council, Open green space, wildlife in Milton Keynes on April 2, 2018 by xplain. I suggest Martin reads the minutes and papers of a Delegated decision where Rob Middleton refused to grant voluntary registration of the Land in Passmore (wrongly referred to as Tinkers Bridge North). The papers are on the Council information system under delegated decisions for 23 February 2016. There are two ways to grant Village Green status under the Commons Act 2006. The first under section 15 (8) is by the Council voluntarily registering green space. This is purely a political decision as no criteria need to be achieved. The second is by residents asking for land to be registered under section 15(1). This is a time consuming and expensive process but as the Council has refused to voluntarily register green spaces they have had no choice. According to the record of the meeting the item was withdrawn and no decision taken – you must have misread them, Peter. An application for a registration under section 15 (1) is an claim that an area of land is a village green – it is assessed on the facts as to whether it is, or is not. It is not as you suggest an alternative route to asking for a voluntary registration, which can be made whether the area is or is not already a village green. I was actually at the meeting on 23 Feb 2016. The officer recommendation was to decline to register the two areas of land as Village Greens.The item was technically withdrawn as the Cabinet member said it was an operational decision for officers. This is really a “no” in my view. After the huge debate we had in 2015 on this topic I fail to see how such a decision was going to be left to un-elected officers without members of the public being present. The regulatory Committee had asked the Cabinet member for a decision but did not get one but officers passed the message back that the answer was no. On 27 March 2018 Liz Gifford had no problem in approving two areas in Woolstone and One in Springfield as Village greens (as well as others). She did not withdraw the item for officers to decide on because I went to full Council to get a motion passed in 2017 to recommend to Cabinet that these areas be registered as village greens. The entire Labour party abstained on this motion but it was passed anyway. I will not answer any more questions on this subject as I think you are just trying to confuse readers (well at least me) rather than respecting the original designers of Milton Keynes and their vision of green spaces and indeed the current mood of the public. Village greens either exist or they do not – they cannot be created. It is not possible to block an application to recognise a village green if it exists; equally it is not possible to approve an application if it it does not exist. The council has to hire the services of an independent lawyer to hold an inquiry, when it receives an application – these are the costs incurred in dealing with village green applications. The lawyer then informs the council whether the legal tests for a village green have been met or not. A council committee – incidentally chaired by a Conservative – then acts according to the lawyer’s judgement, in a quasi-judicial capacity. the Tory chair has voted to reject most applications, along with members from other parties, because it was demonstrated that they were not village greens. Xplain usually have a firm grasp of legal principles, so it is very disappointing to see it so badly wrong on the facts in this instance – some homework and a seminar from the Open Spaces Society is called for. Thanks; I have updated the post to include more technical information.